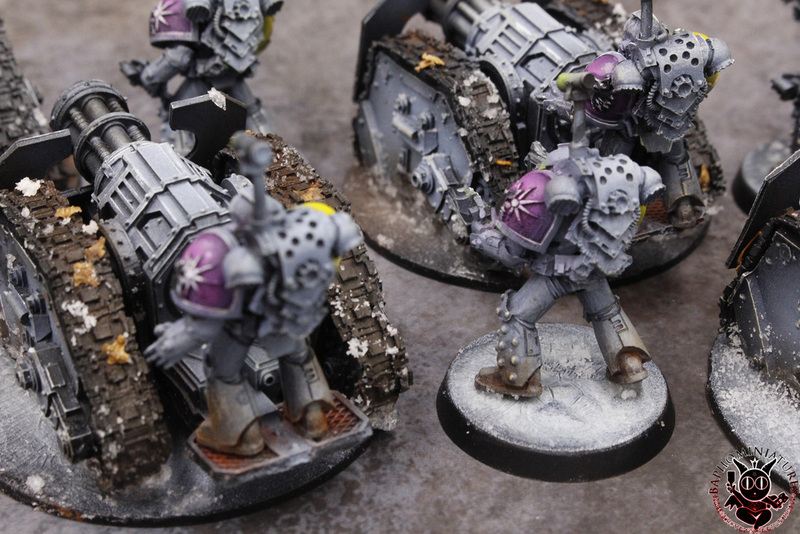 These guys are my take on the Space Wolf scheme and use the client's existing Death Wolf colors for the pads. I'm very happy with this foray into ice, snow, and mud. 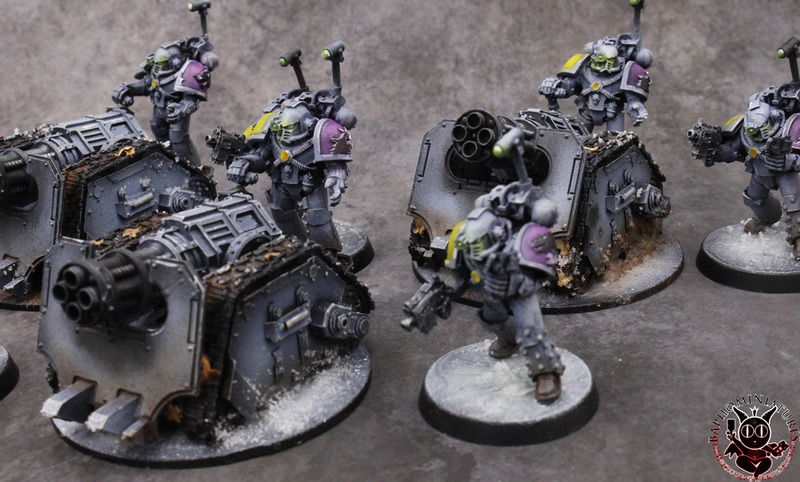 I think they gel well with the Space Wolf fluff and provide a gritty setting for these soldiers.